Song written by Kate Bush, included on her debut album The Kick Inside. The song is a tribute to Lindsay Kemp, who was her mime teacher in the mid-Seventies. She explained in an interview, "He needed a song written to him. He opened up my eyes to the meanings of movement. He makes you feel so good. If you've got two left feet it's 'you dance like an angel darling.' He fills people up, you're an empty glass and glug, glug, glug, he's filled you with champagne." 'Moving' opens with a whale song sampled from 'Songs of the Humpback Whale', an LP including recordings of whale vocalizations made by Dr. Roger S. Payne. On 6 February 1978, 'Moving' was released as a 7" single in Japan only, featuring Wuthering Heights on the B-side. There are two officially released versions of 'Kite': the album version and the live version from Hammersmith Odeon. However, a demo version from 1977 has also surfaced and was released on various bootleg cd's. Soon after the release of The Kick Inside, Bush performed 'Moving' alongside with 'Them Heavy People' on 25 February 1978 on the BBC TV show Saturday Nights at the Mill. On 12 May, she took part in a Dutch special TV show dedicated to the opening of the Haunted Castle, the new attraction of the amusement park Efteling. She performed six songs in six videos filmed near the castle and across the park. At the beginning of the video for 'Moving', the camera shows a tombstone covered with leaves. 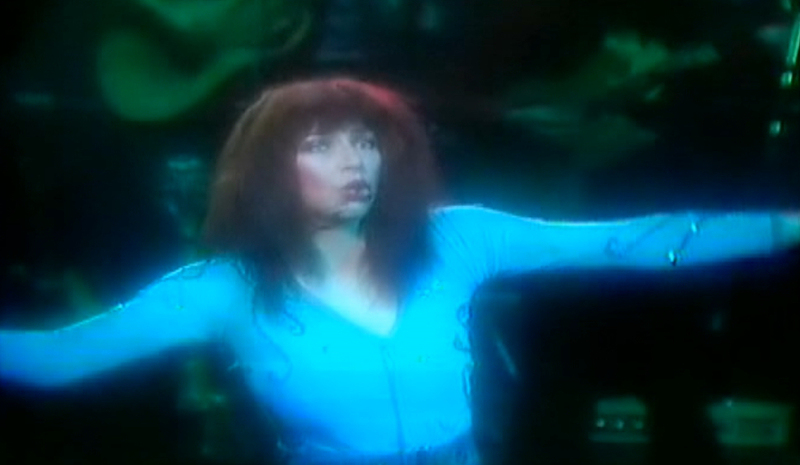 Then, the wind blows the leaves and lets appear the name of Kate Bush. She performs the song in front of the castle's door. In June 1978, Bush sang "Moving" at Nippon Budokan during the Tokyo Music Festival. The performance was retransmitted on the Japanese television on 21 June and was followed by a 35 million audience. She won the silver prize alongside with the American R&B band The Emotions. In 1979, Bush included 'Moving' on her first tour, The Tour of Life. Her performance can be seen on the video Live at Hammersmith Odeon. ‘Moving’ has been covered by Kat Devlin, The Hounds Of Love, Valen Hsu, Married Monk and Alan Tignanelli.